Park Your Bus | Find parking for buses around the world! Park Your Bus – Find parking for buses around the world! Park Your Bus is the cutting-edge system to find tourist coaches parking facilities around Europe! It has been especially designed for drivers, tour managers, travel agencies and tour operators that wish to plan their group tours in an easy and smooth way. Park Your Bus offers the opportunity to find easily the position of parking facilities, to know their features and the distance from the main places of interest. What are you waiting for? Let’s Park Your Bus! Every parking facility is geolocalised with Google® Maps, so that you can know the distance from the point where you are. But that’s not all: Park Your Bus provides you turn-by-turn information and it complements your smartphone navigator by showing you the way to go! Park Your Bus offers the opportunity to easily find the position of parking facilities, to know their features and the distance from the main places of interest. What are you waiting for? Let’s Park Your Bus! 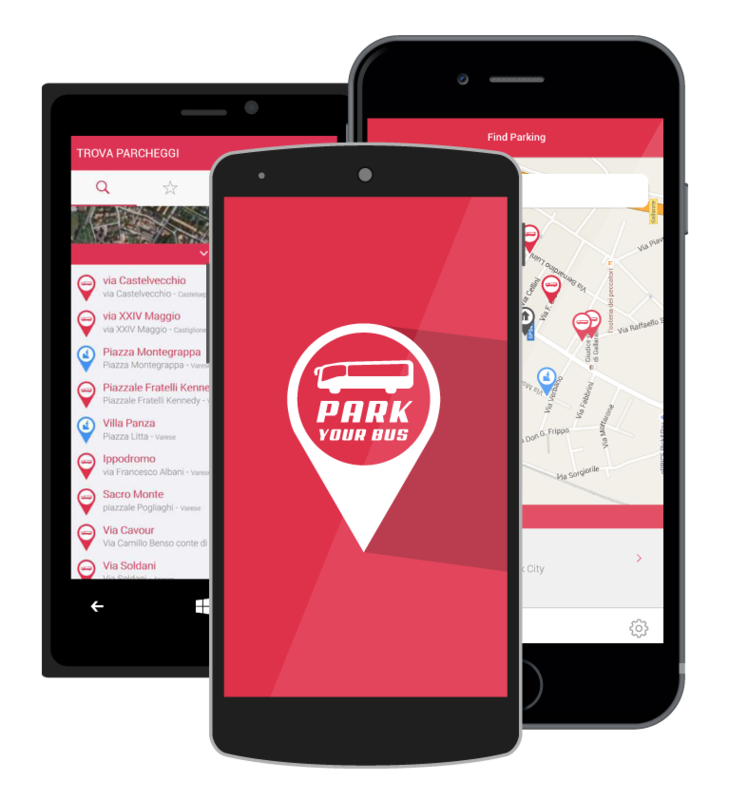 Park Your Bus is available on Apple App Store, Google Play Store and Windows Store with an intuitive and immediate interface that helps you to find parking lots faster than ever! The application allows you to save parking areas as “preferred spots” in order to reach them without any other research in the future. The integration with Google® Street View allows you not only to know the accurate position of parking facilities, but also to get all the details in a glance. In this way, you can easily orientate and you can find parking facilities in a short time.